In Pursuit of On-Field Success - Does Off-Field Drive On-Field? Sporting clubs dream of winning trophies, but so few actually achieve it. Even fewer do it over a sustainable period of time. So is there a secret? Yes, and no. Firstly ‘the no’ – there is no magic bullet for success. Hard work is an essential characteristic and being prepared (the principle of ‘Readiness’) for opportunity is key. And, now ‘the yes’: “You don’t win league titles in top sport if you haven’t got better players (in good form) than your opponents.” Fact. But, the role of wise guidance off the field, and a stable club from both an operational and financial perspective must never be under-estimated in the narrative of a successful sporting team. It enables the playing side of the Organisation to focus on producing top performance, without unnecessary distraction. The ‘distance race’ of a Championship season tests the physical and mental endurance of individuals and the team as a collective, as well as the skill level in a variety of conditions and match situations. It’s why many players value winning the league over a knockout cup. Developing a successful on-field unit is a difficult coaching objective. Creating sustainable success is even harder. It takes, patience, wisdom and emotional resilience from the leadership and a high-level of skill matched by an increasing determination over time from the playing group. Players must really want to become top performers individually, and a successful team collectively. There needs to be a compelling vision linked to a ‘one team one dream’ philosophy that links on-field staff with off-field staff successfully. And any short-term success needs to be managed carefully – complacency is ‘the mother of under-performance’. And even after decades of successful teams, it can fall apart quickly if the cultural leader isn’t replaced by a highly-effective successor. Manchester United’s recent experience of dealing with a very challenging transition since Sir Alex Ferguson stood down (after two and a half decades of success) is instructive to all students of high-performance organisations. The challenge of replacing him has already seen off two experienced managers within three years! Sporting history reveals the difficulty of replacing a legendary leader - it happened at Old Trafford with Sir Matt Busby in the early 1970’s until Sir Alex Ferguson embraced the opportunity in a manner that all of his predecessors found too taxing. My sense is that such transitions are fraught with problems if the club sees the solution in the appointment of one person. It must a club ‘movement’ that enables success to emerge over time. Sub groups of leaders must step up and take responsibility rather than be passive employees waiting for ‘a magic wand’ to deliver them the promised land. But, one must never underestimate the impact that brilliant leaders can have. Brilliant leaders inspire and empower their staff. They understand what change needs to happen, when it needs to take place, and they manage the change process superbly. Getting the right people in the right roles is fundamental to achieving success. Without wise leadership, sporting clubs drift, and are forever talking about ‘next season’, and the talk is populated with references to the future with comments such as “we’ve got some good youngsters coming through”. However, they experience an implosion when change is too slow (or not forthcoming at all) because the most ambitious players move on in pursuit of their own career goals. For all the benefits of team cohesion and collective responsibility, it is the performance of a club’s top players that tends to be the difference in cricket between winning and losing against the best opposition. But, recruiting and retaining top talent is only possible if the leadership and infra-structure of a club provide the off-field inspiration and support needed to ensure sustainable success. So, the challenge is to integrate the best senior players with solid mid-career players and a core of local players with international ambitions if a club is to become high-achievers. Without nurturing brilliant individuals, it is hard to beat the best opposition. I am fascinated by sporting clubs and their narratives in pursuit of success. As an Essex Cricket supporter and former player who was privileged to be reserve wicket-keeper in 3 County Championship-winning squads (1983/1984 & 1986, with one-day successes in 1985 too) I found following their fortunes in more recent times to be an interesting ‘case study’. 2017 could be a momentous season – but if it is, I will be even more fascinated by their ability to sustain success over time. As the Americans have been celebrating Thanksgiving this week, I imagine all the supporters of Essex County Cricket Club are reflecting on their gratitude for their team’s transformation since Chris Silverwood became Head Coach and Ryan ten Doeschate became captain in 2016. The omens for success look good right now, especially if the club can overcome its long-term obstacle of losing knockout cup matches in white-ball cricket. Essex began 2017 in optimistic mood. As Division 2 County Champions in 2016, and One Day Quarter-finalists in both competitions, Essex were determined to be competitive in Division1 this season – too often they have flattered to deceive in the best company in recent years. The minimum ambition was to remain in Division1, and it looks like this will be accomplished now! Individuals wanted to prove themselves worthy of international consideration and the club’s loyal support refused to accept that ‘the glory days’ were a thing of the past. Hope and aspiration in the local community are powerful characteristics to help support a club’s higher vision for itself. Previous Essex teams have been too flaky and lacked the resilience of the club’s best teams in the past 40 years. Two previous promotions resulted in a rapid return to Division 2 – suggesting a soft underbelly within the club’s leading playing resources. A decade of Division 2 cricket, and only one trophy in 20 years blighted the record of a proud body of people who were once regarded as being responsible for inspiring one of sport’s more progressive clubs during the 1980’s. Something went wrong – other famous clubs (Lancashire, Surrey, Warwickshire and Yorkshire in particular) caught up, and new clubs like Durham revealed both a naked ambition and an ability to nurture local talent to become high-performers for both club and country. Yes. But the run-in always reveals who has the endurance. Top teams finish strongly. Weak teams hit the front early and fall away as the race hots up. There is no single team to fear, with probably only Yorkshire (with their recent excellence in County Championship cricket) posing a serious threat to Essex as runaway leaders. By entering July as ‘the team to beat’ at the top of the County Championship, Essex have shown they mean business. After a difficult start, they have played some excellent cricket and deserve to be the mid-season front-runners. Other teams are taking them very seriously as Title contenders. And, they could easily have been in a Lord’s Final this past weekend too. Only a record run-chase by eventual champions Nottinghamshire defeated them in the Royal London One Day Cup semi-final at Chelmsford ten days ago. The quirk of a fixture list (that prioritized International One Day cricket until July) has helped Essex become the front-runners in what is ‘the ultimate marathon’ from a cricketing perspective. It has enabled England’s highest-ever run-scorer to play regularly for his county. Alastair Cook has been inspirational as both successful opening batsman and all-round ‘good egg’ as ‘team man personified’. And the arrival of Simon Harmer on a Kolpak registration from South Africa, and his remarkable recent form - 28 wickets in the last two Championship matches is a remarkable return! So what else has changed at Essex to inspire their recent performance? Transformational performance in sporting teams is hard to explain – it is not an exact science. Fundamentally, there needs to have been change - a disaffection with the status quo. But, the type of change, and the extent of the change process, tends to differ from case to case. In Essex’s case, they were ‘nearly men’ under the coach/captain leadership axis of Paul Grayson and James Foster, despite reaching t20 finals Days, and narrowly missing out on promotion on a regular basis from Division 2. Clearly, something was wrong – too many of their leading players were not performing to their optimum level, and some outstanding young players like Reece Topley and Ben Foakes were leaving the club too. Chairman Nigel Hilliard had been at the helm for a long time, and was looking to retire from the role after overseeing the appointment of Derek Bowden as Chief Executive. It offered the club an opportunity to re-structure on many levels. The change of leadership off the field under CEO Derek Bowden’s guidance began apace in late 2015. It with the appointment of John Faragher as Club Chairman. The long-serving Chairman of Cricket Graham Saville was replaced by former captain Ronnie Irani, and Paul Grayson left the club after serving as both player, 2nd XI Coach, and Head Coach as the 2015 season neared a regular conclusion for Essex of “failed to get promoted”; failed at the knockout stage of one day cricket. Despite interest from former international coaches Stuart Law and Mickey Arthur, Essex chose an internal candidate, in keeping with their long-held tradition of appointing form within. By upgrading Chris Silverwood from his role as Assistant Head Coach, they had knowledge of their new leader as a man, and a developer of players through the 2nd XI through much of the preceding ten years. Players such as Tom Westley, Nick Browne, Adam Wheater, Dan Lawrence, and Jamie Porter, all knew the high standards Silverwood instilled in them as emerging cricketers, and also knew that he was highly ambitious as a coach. Fundamentally, it is about successful management of key relationships. Essex has developed some legendary cricketers such as JK Lever and Ray East, as well as nurturing two outstanding ‘home-grown’ bowlers in Derek Pringle and Neil Foster who both contributed greatly to ‘the glory years’. 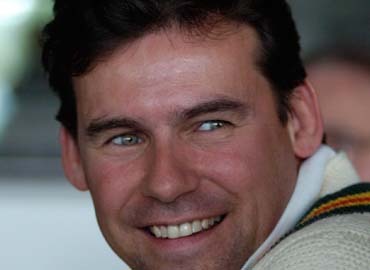 Keith fletcher was instrumental in overseeing the progress of these player sand the wisdom in ensuring Fletcher has remained involved with the emerging cricketers at the club since he lost his role as England Manager/Coach in the mid 1990’s, has ensured many of the club’s best traditions have been handed down through the age group teams. The very recent passing of Brian ‘Tonker’ Taylor will serve as a reminder of the role he played in shaping a core group of 12 professional cricketers in the late 60’s to underpin their future success. In his retirement, ‘Tonker’ inspired the County Age Group teams alongside Fletcher, meaning many youngsters in the region will have a deeper feel for the values and connections between the past and the present of Essex Cricket’s more successful traditions. Developing a great camaraderie has been at the core of much of the club’s success. One of the challenges of transforming a sporting club’s performance on the field is managing the relationships successfully with legendary figures who have contributed significantly to the success of past. Essex seem to be doing this well - club legend Graham Gooch retaining influence as ‘Club Ambassador’, and the sagacious Keith Fletcher maintains an involvement with the club he loves as ‘a wise guide’, as opposed to a back-seat driver. In the 2016/17 off-season, Essex decided to dispense with their time-honored policy of having a Cricket Committee as the decision-making body to approve strategy, recruitment, retention. Under Derek Bowden and John Faragher’s leadership there seems to be a more streamlined approach to decision-making that empowers the executive team to ‘get on with it’. Head Coach Chris Silverwood reports directly to the CEO, which helps to remove much the politics that wears coaches down as most are not keen on having to ‘work’ a weighty body of people to gain agreement and receive authority to act on even the smallest decision. The best leaders want to be empowered to act on their insights and trust their own judgment. As a result of the changes, Essex have formed a ‘Cricket Advisory Group’ made up of ‘the great and good of Essex Cricket, Chris Silverwood has access to ‘wise guidance’. The new advisory group can also act as a ‘checks and balances’ process to the CEO in regard to overseeing the development of cricket performance aspect of the club’s activity. The best Organisations have integrative thinkers at their core. Successful clubs possess leaders with the ability to create an inclusive feel amongst the wider club and in turn, this can help inspire meaningful contributions from a variety of different sources in and around the Organisation. My belief is that the more diversity there is in a thinking process, the richer the eventual output. Empowering people to add to the overall thinking process enhances the possibility that ‘everyone matters’. When this happens, the greater good of the Organisation tends to be the driving force behind every major decision. From an arms length perspective, it would appear that the club are managing the delicate balance of integrating ‘the new’, without letting go of the ‘the old’, in an admirable way. Former captain Ronnie Irani has provided renewed passion for success since joining the Club’s Committee a few years ago, and offers a bridge between his era as a player (1990/2000’s) and key people from the 1970’s/80’s leadership group. Irani’s more recent experience of top-level cricket assists him in connecting with players and coaches in his new role as Chairman of the Essex Cricket Advisory Group. The group is designed to act as both ‘a body of wise men’ and also to enable the individuals serving in the group to act as consultants (either on the phone or in person) if the Head Coach and his assistant (Anthony McGrath) want to use them as a sounding board. Former Academy Director John Childs is also part of the group. He now oversees the club’s scouting operation to ensure the club is abreast of emerging talent in the region, and further afield if necessary. He continues to play an important role linking youth cricket, 2nd XI cricket. His warm and friendly personality, humble nature, and cricketing insight, ensures Chris Silverwood has the perfect back-up for both himself and his team of professional coaches. The old saying ‘too many cooks can spoil the broth’ may apply here if the group were obstructive or interfering, but my sense is that Essex may have struck gold with their new model – an Executive team to lead the club on a day-to-day basis, and Management board to oversee the running of the club and an experienced cricket specific advisory group to provide a mix of both ‘challenge and support’ to the coaching staff as and when needed. With the passing of time, a sports club’s thinking can become ‘stuck in the past’ and very removed from the way modern sportspeople think. When players and board members feel like they exist in different universes, communication tends to suffer to the extent that only social pleasantries get exchanged. Meaningful conversation between the different generations about the sport they love rarely, if ever, takes place. It is a sad day when there is no context for received wisdom about the game (and the club) doesn’t get handed down from ‘the great and the good’. Finding people who can bridge the gap between ‘the old’ and ‘the new’ is the key to preventing such an occurrence, and enabling progress to be made. At Essex, there is a rare richness of experience about the game and the club itself. In addition to legendary former captains Keith Fletcher and Graham Gooch, the Club President Doug Insole and Treasurer David Acfield (who both excelled as Essex cricketers during their lengthy playing careers) have been steeped in the administration of the game, both at county and international level. Fundamentally, for all their accomplishments in the game, each has a deep desire to see their club prosper. Essex seem to be creating a foundation for future success, both in terms of off-field support , a healthy pipeline of emerging on-field talent, and a recruitment process which has brought a rich harvest this season if Simon harmer’s success continues. If they can ensure their 4-day winning momentum isn’t disrupted by ‘under-performance’ in the NatWest blast t20. And, if Alastair Cook’s absence with England isn’t felt too keenly, then Essex may still be on top the Championship table at the end of September. Even if they win the County Championship, my sense is that the club’s leadership is planning for another era of sustained achievement to replicate the success of the past. A new group of players seem committed to carving out their own names in the history of a club that in its best years, prided itself on developing local talent to play successfully for England, whilst integrating shrewd overseas signings into the bosom of the club’s family. If they can do it, they will be the envy of many sporting clubs.